On Thursday's The Last Word with Lawrence O'Donnell, his "re-write" segment focused on Bill O'Reilly's concern that the media is over-hyping the danger posed by the possible meltdown of nuclear reactor cores and on Glenn Beck's claim that the tragedy in Japan is a sign of the "end times," which is, of course, hype in the greatest sense of the word. Listen to the following clip that was extracted from the media review blog, Mediaite. It's difficult to expand on this. Certainly religious fundamentalists and other Christian reactionaries will side with Glenn Beck, but intelligent people will not have the faith-before-reason approach to Japan's disaster that Beck's pre-enlightenment belief in Revelations is revealing. When Beck is analyzed as a reactionary on this Review, it is his desire to understand reality through the lens of a former era and to resort, politically, to this bygone era. This week, the reactionary Beck is viewing the nuclear crisis in Japan through a lens formed in ancient times, before the enlightenment established reason as predominant over faith. Beck discussed this clip today on his morning zoo of political childishness radio show and declared, "I believe that MSNBC has become the most anti‑god network ever put on the air in the history of America.” He had a difficult time with O'Donnell taking a modern stand toward the Bible, but this "belief" that he holds indicates that Beck has never watched the Science Channel or even the History Channel which is fact based and not belief oriented. Beck likes to misquote Jefferson from his letter to his nephew, Peter Carr. Beck began doing this in his book, The Real America, when he falsely claimed that Jefferson wrote, "And above all things, when it comes to religion, fix reason firmly in her seat and question everything." Even with this misquote, Beck is not, by citing Revelations, fixing reason in her seat. Beck is doing exactly the opposite of what Jefferson encouraged for his nephew. Jefferson actually wrote, "Fix reason firmly in her seat, and call to her tribunal every fact, every opinion. Question with boldness even the existence of a God; because, if there be one, he must more approve of the homage of reason, than that of blindfolded fear." In the clip of Beck that O'Donnell played of Beck talking, Beck is not taking the advice, however deceitfully misquoted, that he gives his viewers fairly regularly. Beck is instilling fear, the blindfolded fear that was written about centuries and centuries before the era of enlightenment, Jefferson's era, when reason was fixed firmly in her seat. Don't hold your breath waiting for Mr. Beck to start following the advice of Glenn Beck (or Thomas Jefferson). Glenn Beck rarely states a principle that he does not at a later point turn around and hypocritically undermine. Beck is constantly using the phrase, "fix reason firmly in her seat." Sounds very much like Beck is on the modern side of the Enlightenment as was Jefferson, a child of the Enlightenment. Except that is not what Beck does by claiming that what is happening in Japan may be a sign of the end of the world. That is pre-Enlightenment thinking, Biblical thinking and putting faith before reason. In other words, by making the claim that O'Donnell is mocking here, Beck is asserting without much thought that Beck does not "fix reason firmly in her seat." In other words, Glenn Beck goes against what Glenn Beck argues for (when it's convenient). 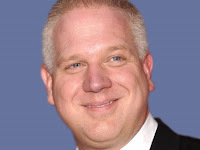 When it is argued that Glenn Beck is a fraud, a fake, a charlatan, it's not just name calling. By claiming this Japanese disaster may be a sign of the end times, Glenn Beck is going against what Glenn Beck claims. Why would he do that? Because Beck has absolutely no interest in fixing reason firmly in her seat unless that seat is the back seat and blind faith is in the driver's seat. However, that is pre-Enlightenment thinking, pretty much what one expects from someone as reactionary and backwards thinking as Glenn Beck. By making an argument that this disaster in Japan may be a sign of the end times, Beck is not just on the wrong side of history and on the other side of the Enlightenment; Glenn Beck is on the other side of what Glenn Beck argues for. One of the two arguments (faith or reason) is pretension. Glenn Beck is a genuine fake. Update, 3/20/2011: O'Donnell had a follow-up the next night after Beck on the radio the next day ended up agreeing with O'Donnell. Although not great journalism, O'Donnell seems to enjoy rubbing Beck's face in the mess that Beck made with his pre-Enlightenment thinking.